I often have to send pdf documents via email. When I do, I prefer to send one document that merges all those pdfs. Form a recipient point-of-view, I find it better to receive one attachment, because it's easier to manage and to keep track of. The problem is that I've yet to find an easy way to stitch together multiple pdf files. Preview suppose to let you do it, but I usually can't get it to work, and when I do, the process is painful1. Recently, I came up with way to do just that, thanks to a python script I found in the "Automate the Boring Stuff with Python" book. This script takes a folder of documents as an input, search for all the pdf files in that folder, and combine them into one pdf file. 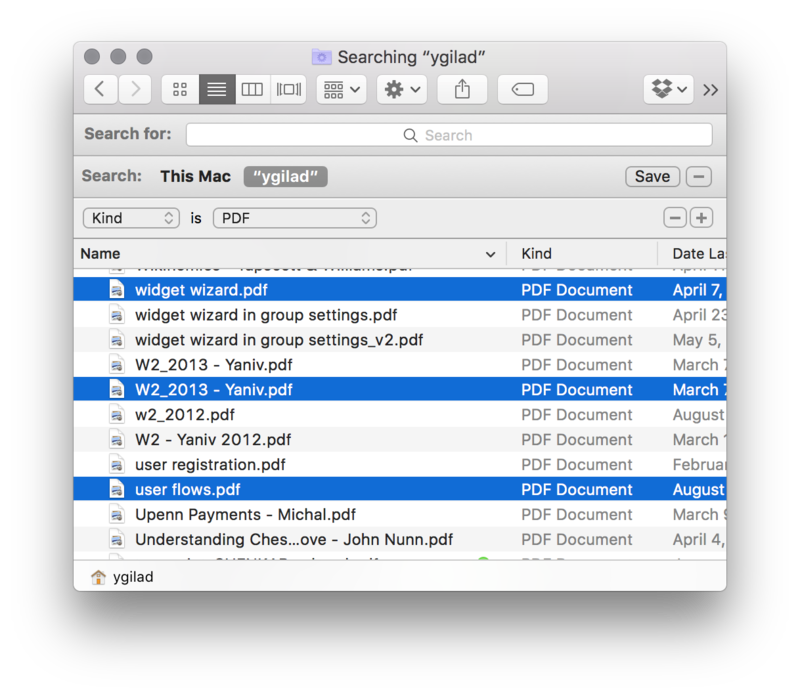 #Loop through all the PDF files. #Loop through all the pages (except the first) and add them. #TODO: add an argument that determine whether cover should be included. #Save the resulting PDF to a file. 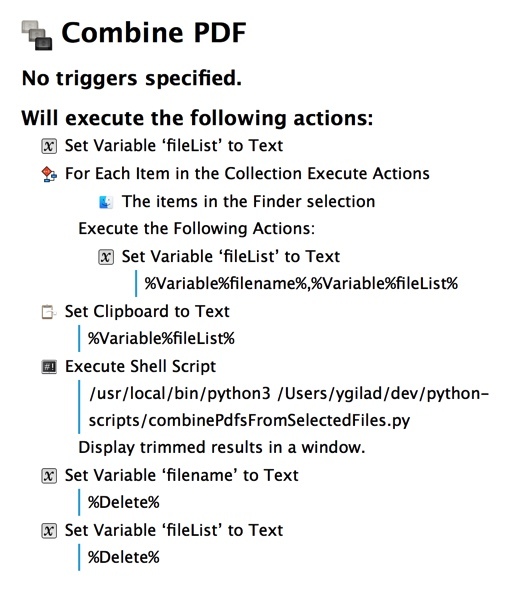 I can then execute the KM macro, which pass the list of files to the python script for processing. I know this process might sound tedious, and even more painful than using Preview for that job. But that's the beauty of automation - you pay once use freely ever after.